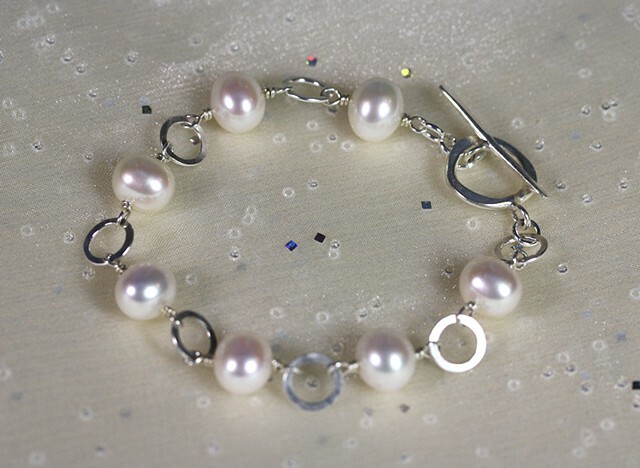 A round of fresh water pearls linked to hammered silver circles...light and beautiful. Also available in smoky quartz, turquoise, amazonite, onyx. Fine silver toggle clasp. Approx. 7 3/4"